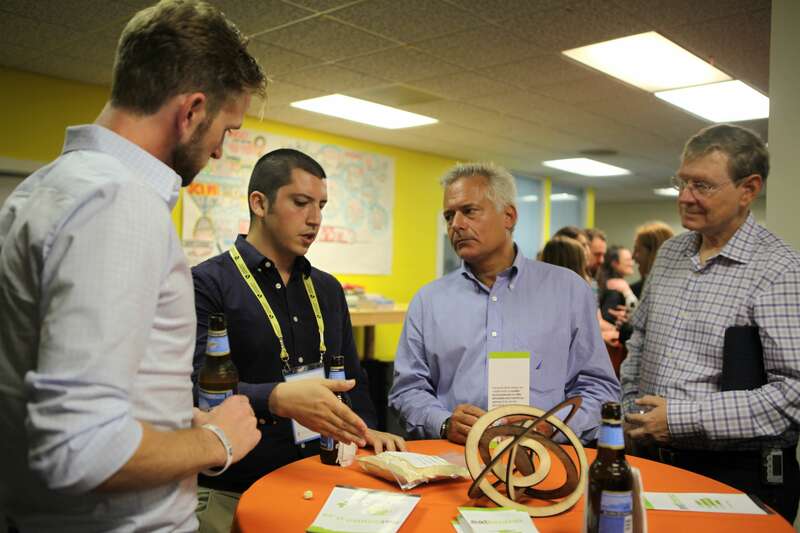 This Monday (September 28th) we welcomed the first group of startups entering the inaugural SU Labs Accelerator. The accelerator is a rigorous 10-week track in which seven startups progress through a series of boot camps and sprints and are paired with strategic resources and partnerships to prepare them to take flight. 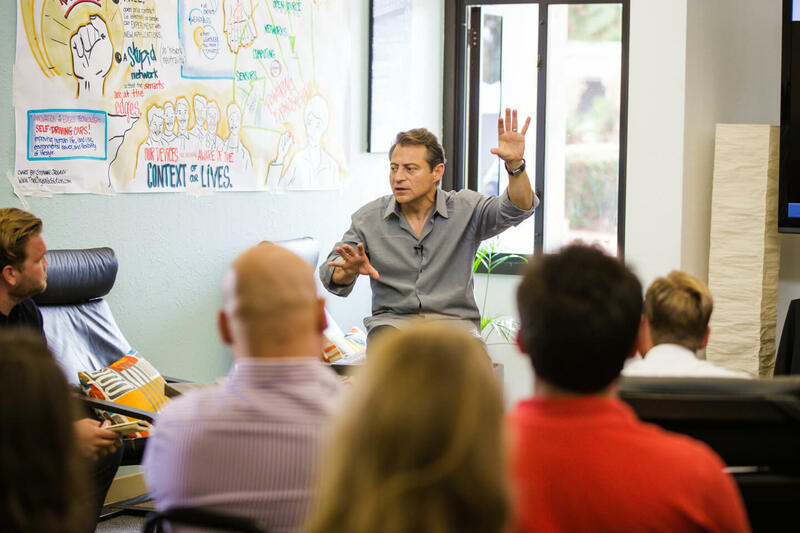 Peter Diamandis speaking with the accelerator class during Day 1. 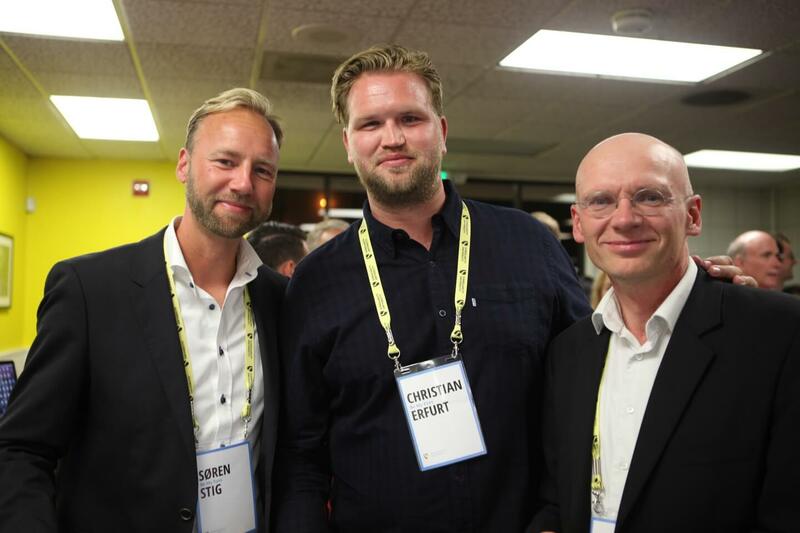 Led by Pascal Finette, managing director of SU Labs, Amareux Rodriguez, Archie Japaridze, Mikhail Holst, and Garrett Dunham, the accelerator accepted seven distinct startups from across the globe, each aiming to make a splash by leveraging emerging technologies to improve the lives of millions. Using technologies rooted in biotech, artificial intelligence, hyperspectral imaging, and more, the startups are each tackling a big challenge facing our world—clean water, pollution tracking, energy efficiency, food waste, mental health care, home security, and empowering visually impaired individuals. 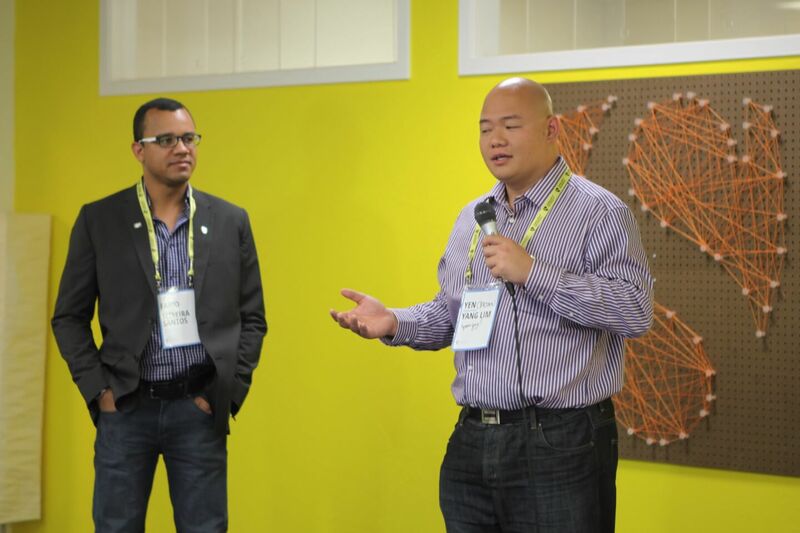 Rapid prototyping session with Tom Chi, CPO and Head of X at Factory, and one of the founding members of Google X. Though we’ll later take a deep dive into the journeys of these startups—and share insights from the accelerator’s keynote speakers and mentors—we would first like to introduce you to each team and their technologies. It’s an exciting group. Totus Power: Mobile power packs for schools in developing countries from recycled electric car batteries. By recycling electric vehicle batteries into mobile power packs for schools, Totus Power has created a reliable, non-toxic, high-power, rapid charging lithium-ion battery pack named the Jupiter 6 that provides up to 20 hours of electricity. The Jupiter 6 incorporates Li-ion batteries from electric cars and is significantly lighter than the equivalent lead acid batteries. Currently hosting the world’s largest visually impaired community, the Be My Eyes app allows users to connect with a visual volunteer over a Skype-like connection to get a real-time explanation of their surroundings to help navigate their daily lives. FREDSense Technologies: Combining synthetic biology with biosensors to remotely monitor water quality and contamination. The company’s first product, FRED (Field-Ready Electrochemical Detector), uses a genetically modified bacteria to detect multiple water-borne contaminants in two simple steps. A cartridge holding the ‘sensing’ bacteria and chemicals needed to run the test is placed in a detector with the water being tested. After one to two minutes the detector sends the results via Wi-Fi, 3G, or USB connection, to your device. Eat Limmo: Democratizing nutritious food with a synthesized baking substitute from food waste. To combat Mexico’s rising rate of obesity, Eat Limmo has created a nutritious baking substitute from the seeds and peels of fruit and vegetable food waste. The finished product, Limmo, is used in baking to drastically lower the fat and sugar content without changing the taste. Limmo creates an affordable way to provide nutritious food and has been featured in Fast Company. X2AI: Automated mental health care using artificial intelligence. 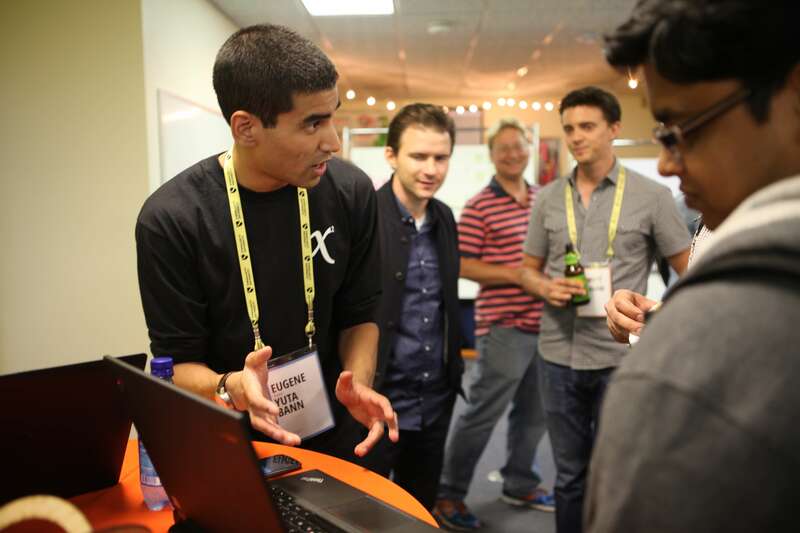 Currently running pilots with a large hospital chain in the Netherlands, X2AI’s product Tess is a conversational robot that uses artificial intelligence to provide patients with mental health conditions 24/7 support by sensing emotions, providing reminders to take medication, documenting arising problems, tracking patient progress, and more. HyperCube: Tracking pollution on Earth from space using hyperspectral imaging and satellites. HyperCube uses low-cost satellites and sensors capable of tracking pollution on the entire surface of the planet to help companies understand and reduce their waste output and ecological footprint. Their goal is to become the Google Earth for global pollution. Radiomaze Inc.: Low-cost home security using a Wi-Fi signal to smart devices for anti-intruder home detection. 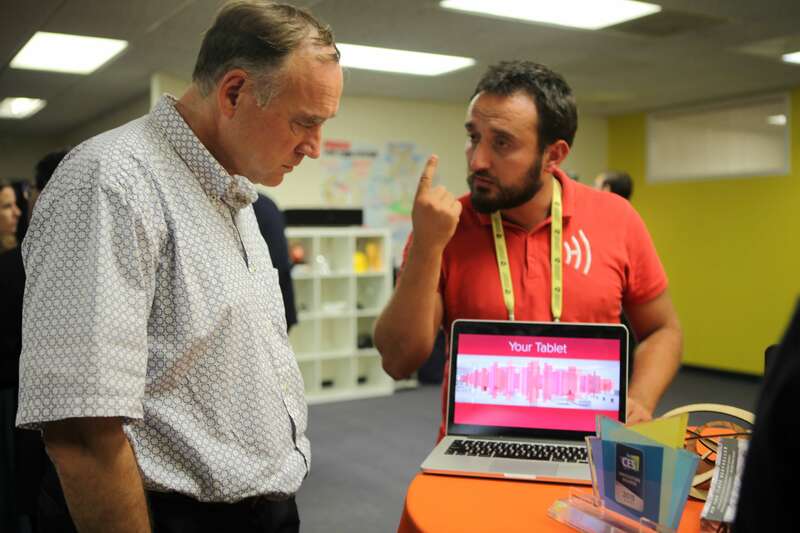 Radiomaze Co-Founder Mauro Pelosi (right) showing Hi WiFi. Radiomaze’s product, Hi WiFi, is at the forefront of low-cost home automation and uses patent-pending software to transform Wi-Fi-enabled devices into motion sensors to detect home intrusion. Hi WiFi was a 2015 CES innovation award winner. 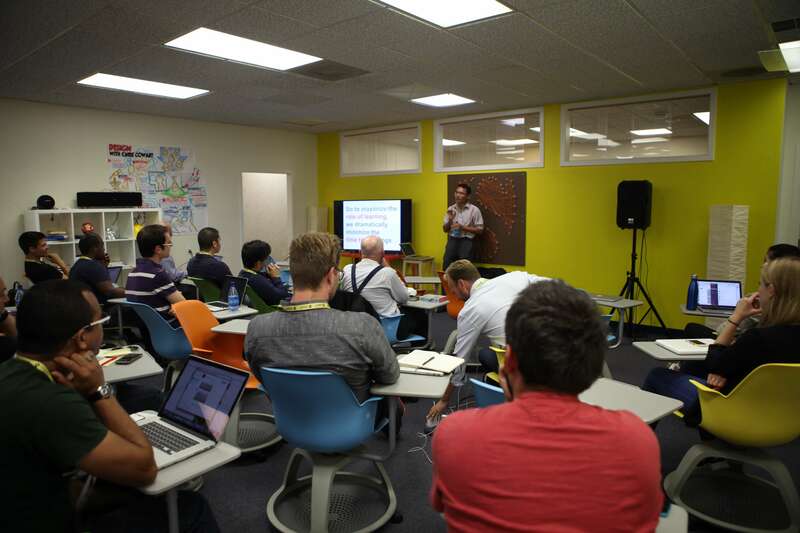 Follow @singularityhub and @su_labs for updates over the next 10 weeks of the accelerator.